London based sax player Brandon Allen and the Amsterdam pianist Bas van Lier pay tribute to tenor giant Gene Ammons Together with a steaming rhythm section they dive deep into the repertoire of the “boss tenor“. As one of the inventors of “soul jazz” and the founder of the “Chicago style” Gene Ammons needs no introduction. He is mentioned in the same breath with other saxophone giants such as Dexter Gordon, Wardell Gray and Sonny Stitt, with whom he regularly shared the stage. Gene Ammons closed the gap between raw blues, R&B and bebop creating a more accessible playing style that appealed to a large audience. 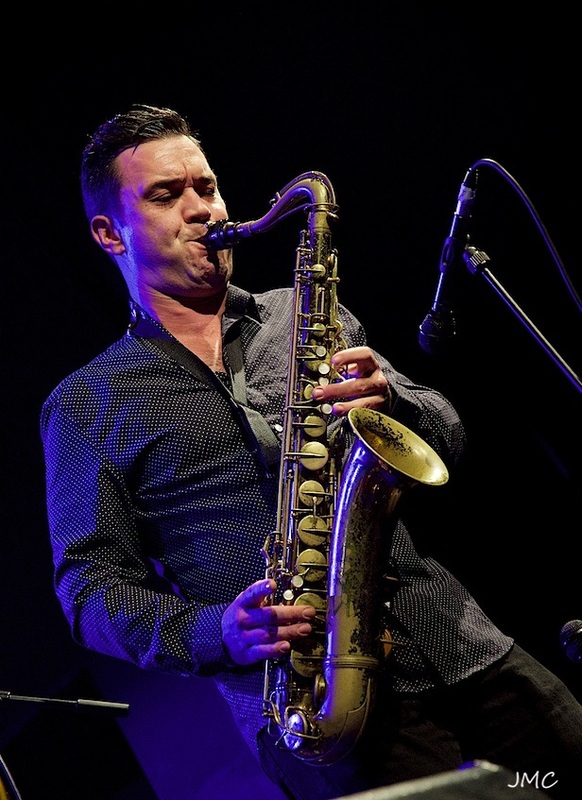 Brandon Allen is one of the most popular and exciting saxophonists in the London scene today. He plays regularly with Eric Clapton, Jools Holland, US3, Neil Diamond and Paloma Faith among others. He’s also a member of the Kyle Eastwood Band and he leads his own Brandon Allen Quartet. Bas van Lier has been the driving force behind bands such as Debbie Sledge/ Camille Sledge band (Sister Sledge), The Deeldeliers (with Jules Deelder), Bl3nder (with Def.P), SuperSwamp and the Bas van Lier 3. He also held the piano chair in famous dutch tenor player Hans Dulfer’s band for over 10 years. Van Lier and Allen met 15 years ago and immediately had great “chemistry.” Their energetic playing styles are like hand in clove. This September the Brandon Allen / Bas van Lier Quartet will play 10 concerts in UK (Ronnie Scott’s and the 606 Club among many others). They will subsequently tour the Netherlands and Belgium. For bookings and information: booking@spotlightproductions.eu – info@spotlightproductions.eu.